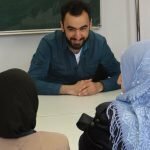 Almanya Seminar on entering university and professional life – June 20-21, 2018 in Leipzig, Germany – DOZ e. V.
On June 20 and 21, 2018, we met again with a group of German-students in Leipzig-Lindenau for an “Almanya in Arabic” Seminar. The participants were all men, who have not been in Germany for a long time and who are just learning German on an A1/A2 level. During the seminar we talked about general information about Germany, like demography, religion, and recent German history, for example about the Second World War and the Peaceful Revolution in Leipzig. The lecturer gave information about differences in residence permits, language courses, and different language levels. Various possibilities for entering university and professional life were introduced and discussed. Besides, the participants talked about their problems with language and integration and the lecturer gave them advice accordingly. 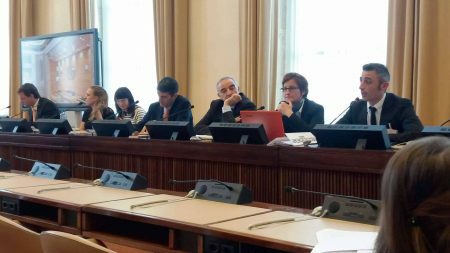 It became apparent, that there are insufficient contact points for refugees where they can ask questions about integration, and that there is a lot of frustration with the German bureaucracy and Job Center. 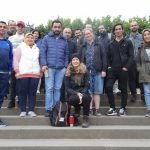 However, the participants were happy about the information they received from DOZ and they were very interested in joining further activities by DOZ, such as the “Almanya” excursion to Dresden on June 23, 2018.